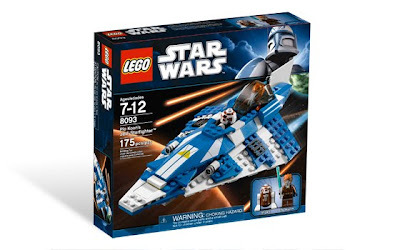 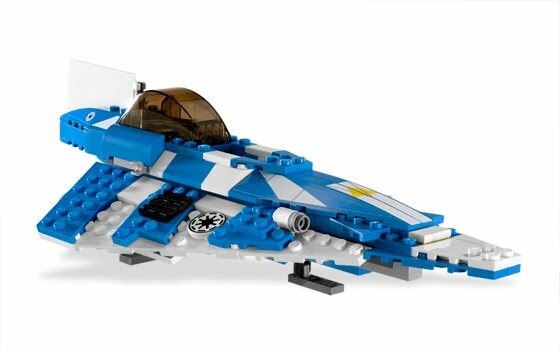 come with a plo koon’s jedi starfighter. 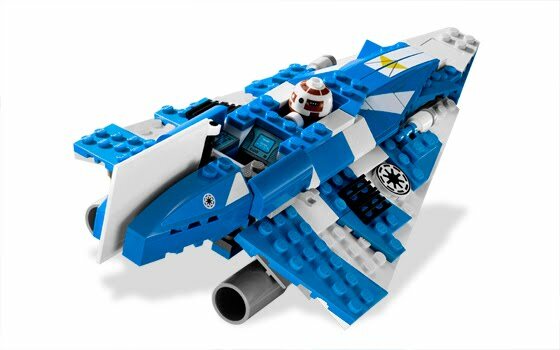 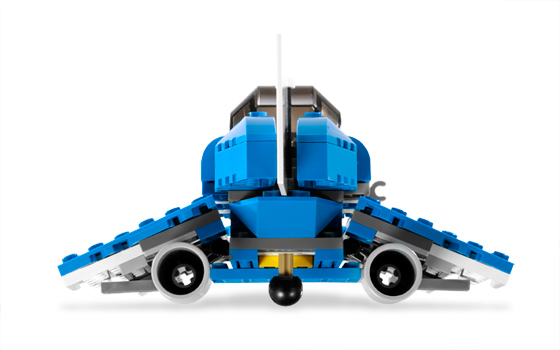 the starfighter has a cockpit with ejectable seat. 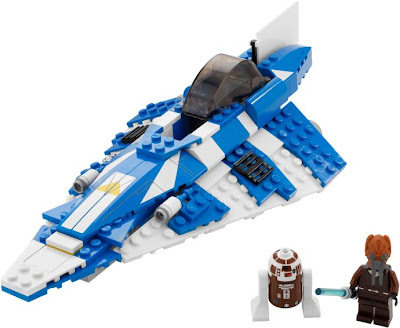 minifigs included a plo koon minifig and an R7-D4 droid minifig.